Many couples looking for an elopement in Bali just want a simple and private wedding ceremony in Bali. Nothing fancy, just a lovely outdoor setting with a celebrant. Besides the documentation of your wedding ceremony you also want beautiful photographs. Taken in Bali’s countless stunning environments. If that sounds like you then read on ! A small and intimate wedding ceremony plus great photographs - sounds easy doesn’t it ? But it ain’t that simple my Dears. There is no shortage of hotels / resorts which offer elopement packages. Probably 50 or even more hotels & resorts can give you such wedding packages. But there are some downsides to those packages which you need to know about. Let me guide you. Because hotels make their money from selling rooms and food & beverages many offer wedding packages that include rooms and meals for guests. But you wanted just a small ceremony for the two of you. Often the hotel requires you to stay several nights there. That can be problematic in case you like the hotel’s setting for your wedding ceremony but you are not so fond of the hotel as a place to spend your honeymoon or vacation. Secondly, your wedding ceremony should have a high degree of privacy. No hotel in Bali can give you that. There will always be other hotel guests around. Not every bride likes to have bystanders in their bathers watching your ceremony. It is also common for hotels to bloat their packages with inclusions and services brides may not want. Such as a fancy & expensive dinner, a wedding cake, spa visits, Bali travel tours, and other unnecessary inclusions. On top of that they usually also charge you steep wedding planning and wedding coordination fees for very little in return. 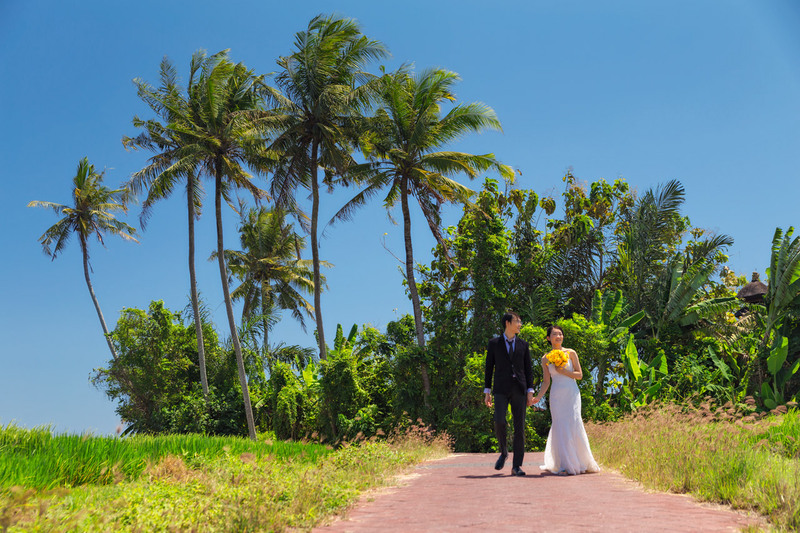 Besides a great experience with your wedding ceremony, you will most certainly want to have great wedding photographs which you will proudly show to family and friends when you come back from Bali. Although the hotel’s package will include a photographer the photography will usually be only for 1 or 2 hours. All the photography will take place only at the hotel’s garden and if available the hotel’s beach. And that is not the only challenge. We here at the SOCIETY OF BALI WEDDING PROFESSIONALS have received countless complaints from brides who were utterly disappointed with their wedding photographs. photographers who produce those boring, standard look-here-and-smile, cheesy photographs that are not everyone’s taste. Couples only got photographs of the actual ceremony plus a few afterwards around the hotel – none of those spectacular photographs in Bali’s beautiful environments. Photographers who can barely communicate in English and have no idea on how to direct couples to look their best. That is because hotels usually include a photographer who is from the ‘cheap end’. And they mark up to optimize their profits. Hotels & Resorts do not take into consideration that for many brides it is very important to get great photographs. After all, you choose Bali because it is such a beautiful place, isn’t it. Equally important is good makeup & hair styling. Because which bride does not want to look her very best on her wedding day. Do you want to pay costly wedding planner fees ? Another approach you could follow is going to one of Bali’s many wedding planners or wedding organizers. And let them find a venue and arrange for the ceremony, the celebrant as well as altar & décor. They will also help you with a photographer, a stylist and the other vendors you may need. 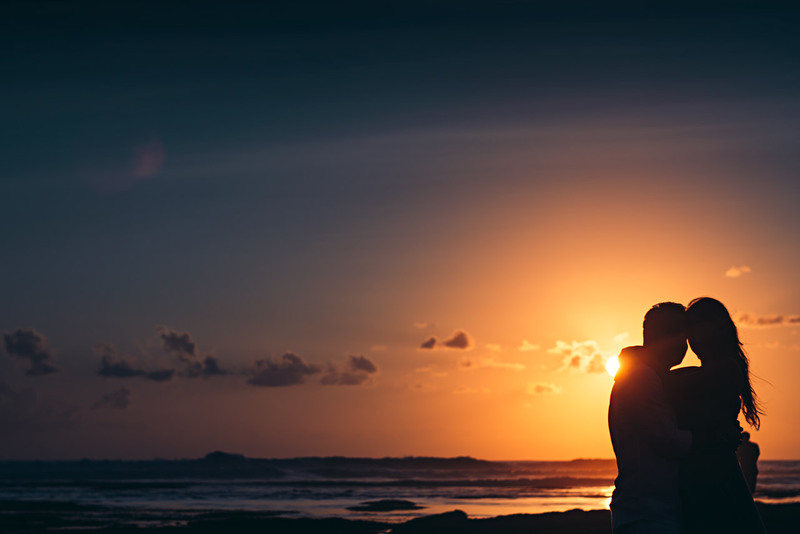 There is nothing wrong with this way of arranging your elopement in Bali. However, the downside is that you will need to pay wedding planner fees because your organizer also wants to make a profit from your wedding. And then there is another downside that is not so obvious to most brides. 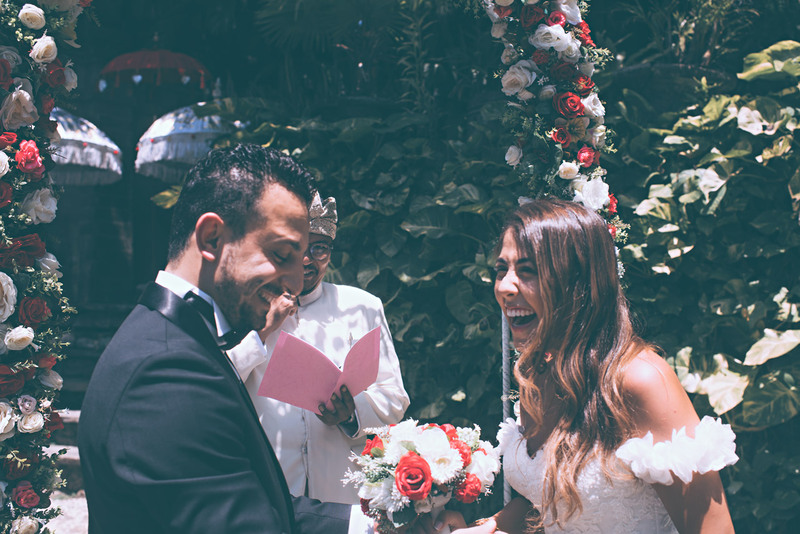 Almost all wedding planners / wedding organizers in Bali derive significant parts of their income from commissions and referral fees. Essentially kick-backs which they receive from venues and vendors they sell to you. Money that ultimately you have to pay. Therefore, they will often try to sell you venues and vendors that may not be best for you but best for them. Because they prefer to work with venues and vendors from whom they can get the biggest ‘kick-back’. Lastly, a wedding planner / coordinator as such is not really required for an elopement. Why ? Because on the day there is not much to coordinate other than telling you when its time to go to the altar and have your ceremony. The other stakeholders in your wedding such as the priest, the décor guys, the photographer, the makeup artist & hair stylist do not require coordination. They have done hundreds of weddings and know what to do, how to do it. 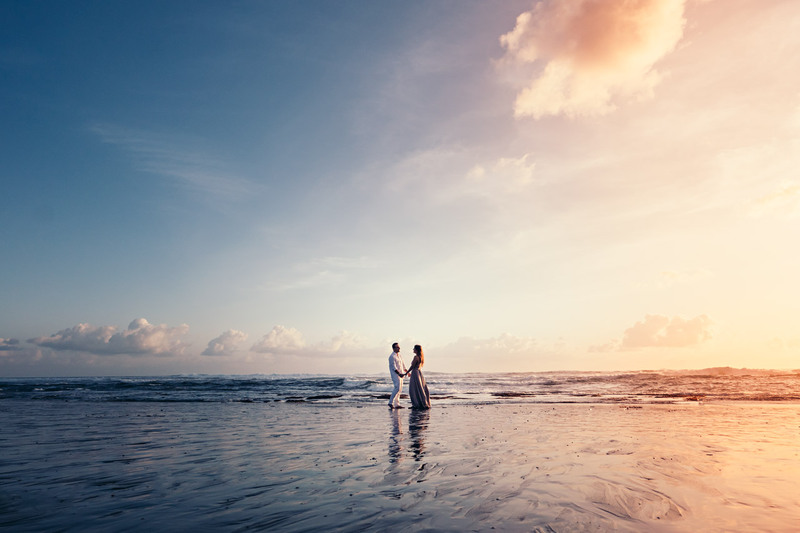 So, is there a better deal for your perfect Bali elopement ? Some of the photographers who are members of the SOCIETY OF BALI WEDDING PROFESSIONALS have recently started to offer photo tour packages that also include a small, intimate wedding ceremony with a lovely decorated altar and a ministrant officiating the wedding rites. 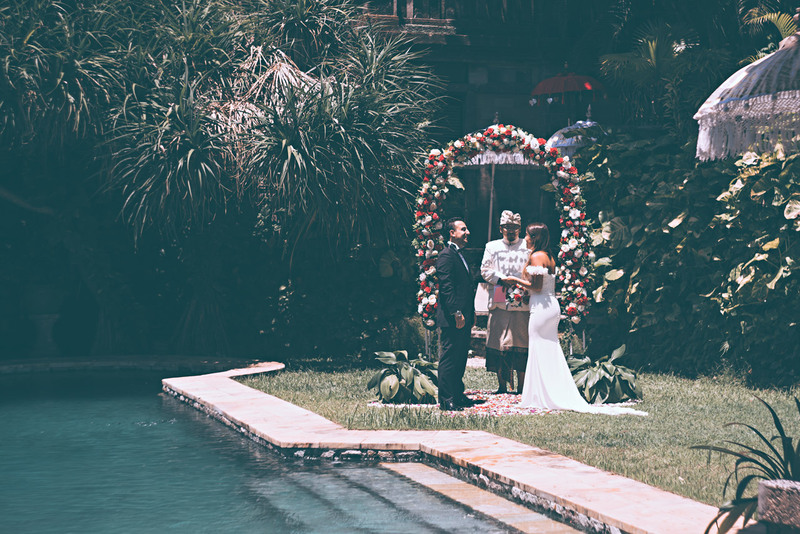 Your ceremony will be carried out in the spacious garden at the poolside of a stunning private Bali villa. And all that can be had at an unbeatable price and without any of the downsides, I explained above. You can either book a half-day or a full-day photo tour which will bring you to some awesome photo locations. And you will have a lovely ceremony with a celebrant as part of your Bali elopement package. You do not need to book the villa and stay there - you can have the villa's garden for the ceremony only. But it gets better ladies. Read on! Nowadays more and more brides do not want to spend an arm and a leg on a dress they will wear only one time in their life. Especially for an elopement where there is nobody attending to admire the dress. Therefore, renting your dress is an option you may want to consider. And the good news is that the photographer’s elopement packages come with dresses and attire rental options. Of course, you can also choose to bring your own dress if you want to. Because most couples like to change dress during the photo tour the provide package includes unlimited dress rental. That means you can change dresses and attires during the photo shoot. So you can have the ceremony photos wearing a designer wedding gown and then change into something else when you visit those gorgeous photo locations that come as part of your package. Because your package is provided by a good & reliable photographer who is very sensitive about how couples look in their wedding photographs you get not just any makeup artist / hair stylist but one of the good ones in Bali. Your personal stylist will stay with you until the end of the photo tour. You and your husband will always look your best – from start to finish. Now let me come back to your wedding photographs for a moment. The ceremony itself will only be a short affair of 15 – 20 minutes. You’ll then sip a bit of champagne, sign a wedding certificate and indulge in the moment for a while. Then you’ll be heading out for your photo tour. Taking pictures of the two of you amid some of Bali’s most scenic environments. All the photographers I am recommending to you have packages that include very little traveling time to and between locations. That way you can spend most of your time getting great pictures and not sitting in the car commuting between locations. Some brides change into a different attire before embarking on the photo tour. You can even have a change your hairstyle or makeup as your stylist is on standby all the time. 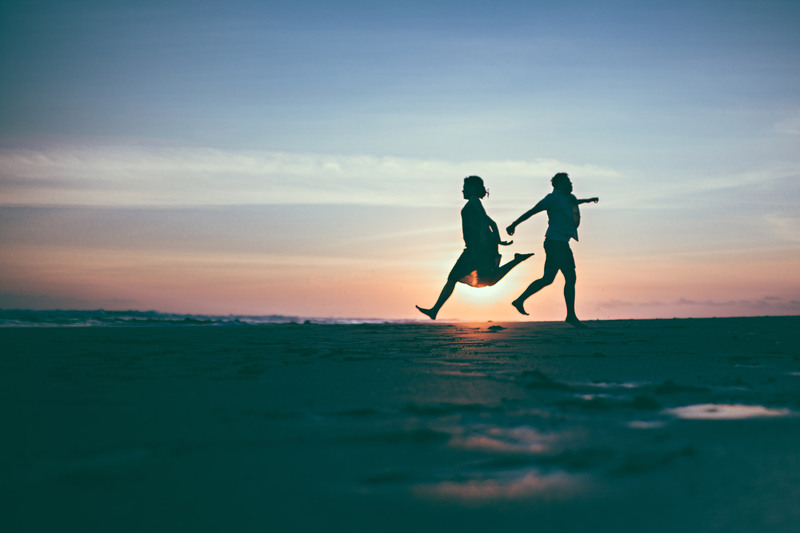 As the last part of your photo tour, you will visit a beach during sunset and have those legendary sunset photos taken for which Bali has become so famous. And unlike hotel and resort weddings your photographer will bring you to a beach that is off the beaten track and not full with hordes of tourists. Pick up from your hotel / villa to the wedding venue and bring back in the evening is of course also included. Ladies, now you know a cost-effective and smart way to have your elopement ceremony in Bali. And a great set of photographs which you will not only proudly share with family and friends but also cherish for the rest of your life. Needless to say that all the photographers and packages I am suggesting here work without tricks and / or surprise fees. Everything you need is included. If that sounds like you then you may want to check out the photographers I am recommending at the end of this article – all of who offer such photo tour & elopement packages. Or contact me and let’s discuss your requirement. Now, ladies, this may well have been the info about Bali elopement weddings you have been waiting for. 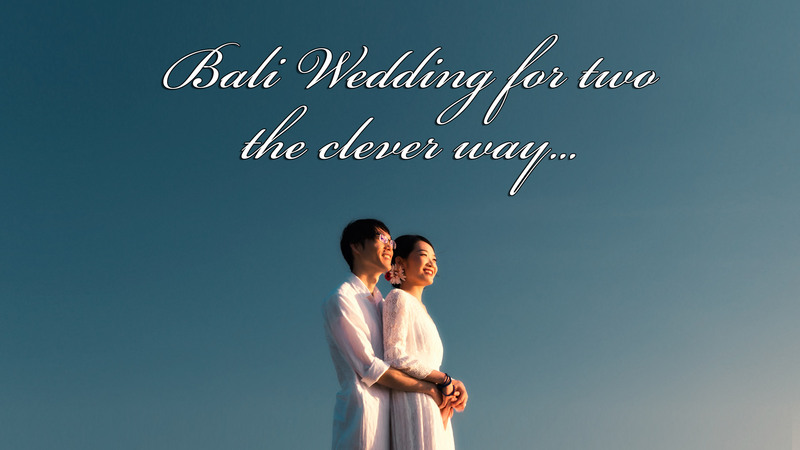 I hope I have been able to show a clever and cost-effective way for your wedding for two in Bali. As always feel free to drop me a line or join us in our super friendly Facebook group: GETTING MARRIED IN BALI. And here are the photographers who offer such Bali photo tour plus elopement ceremony packages. My husband and I had chosen Michelle’s elopement ceremony & photo tour package. And we could not be happier. Not only were the photographs absolutely amazing. Michelle brought us to many super gorgeous photo locations. And he made the photo taking so effortless. In fact, it turned out to be fun being photographed. We also very much enjoyed the experience of our small and intimate ceremony. The fact that the ceremony was 100% private and in a wonderful setting was important to us. We were extremely happy with everything and wholeheartedly recommend Michelle and his team to anyone looking for a great elopement ceremony with awesome photos. Thank you Michelle Pastel ! 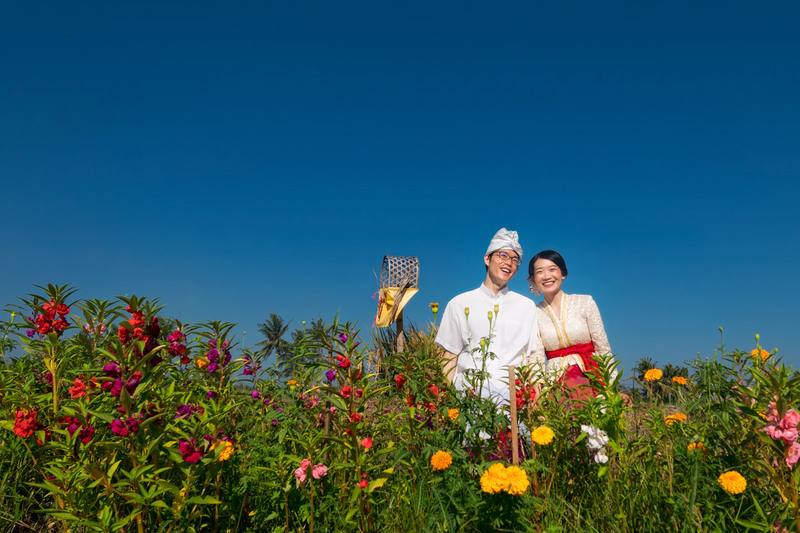 Thank you so much for hosting your elopement in Bali. I am very happy to hear that you had such a wonderful experience with your elopement in Bali.